MICCO – A 61-year-old man was arrested on charges of credit card fraud after he allegedly stole someone’s wallet from a vehicle parked at Wabasso Beach Road and used it at the CVS Pharmacy. 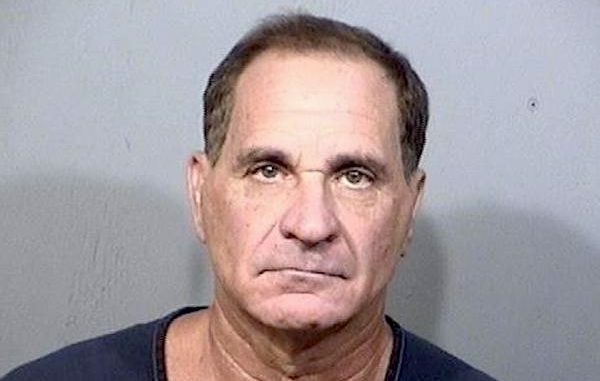 Elliott Bruce Farber, who lives in the 600 block of Oleander Circle in Barefoot Bay, allegedly went into an unlocked car and stole someone’s wallet. The victim then said he received a call from Bank of America about 6 unauthorized charges totaling $450.65 at a CVS Pharmacy store in Vero Beach. The bank found the activity suspicious since the victim only had .77 cents in his checking account at the time of purchases. Police went to the CVS Pharmacy and observed a man on video surveillance attempting to use the debit card. The man was wearing a white polo shirt, blue cargo shorts, and a ball cap. A few days later, the same victim saw a man walking around the same parking lot at Wabasso Beach dressed in the same shirt and cargo shorts wearing a ball cap. He was walking up and down the boardwalk and appeared to be checking out the parking lot. Once he realized the victim was watching him, he left in a light tan Chevy Cruz. The victim called the police and said the man drove over the Sebastian Inlet bridge and pulled into the Inlet. Two law enforcement officers from the Florida Fish and Wildlife Conservation Commission (FWC) made contact with the man after hearing about the report. The man was identified as Elliott Bruce Farber, a Barefoot Bay resident, sitting in the same vehicle described by the victim. A deputy with the Indian River County Sheriff’s Office said he didn’t have probable cause to arrest Farber for auto burglary but found it interesting that he admitted to being at the same location when the victim’s wallet was stolen. After questioning Farber, police let him go. The next day, deputies presented a six-photo lineup, one photo being Farber, to the CVS Pharmacy employee who waited on the suspect the day the debit card was used. The employee positively identified Farber as the man who came into the store and made six attempts to buy $450.65 worth of merchandise. A warrant was then issued for Farber out of Indian River County. Farber was arrested for the charges on Wednesday. He has since posted $25,000.00 bond.